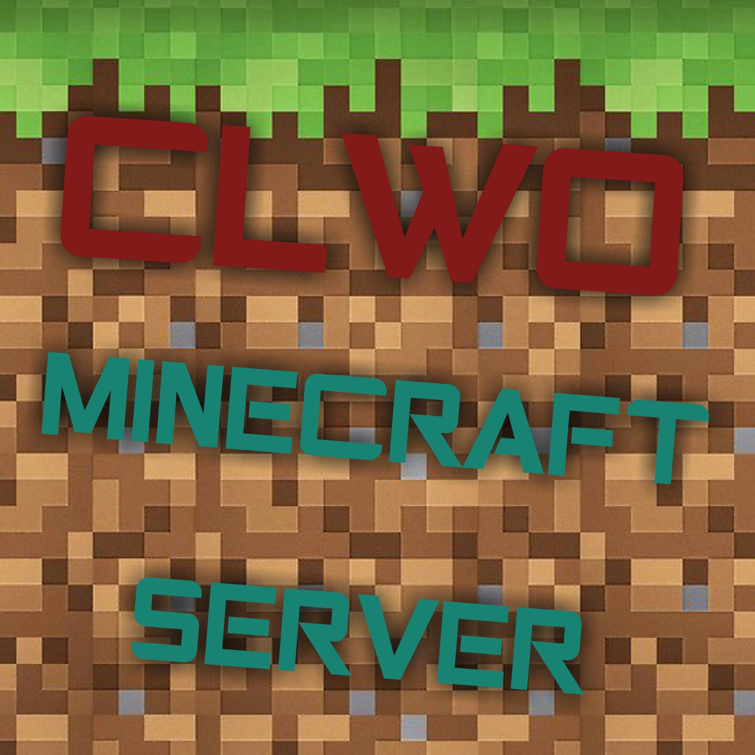 Today is the day we officially announce our CLWO Minecraft Server . A factions server where you team up to destroy others and fight in the war of factions. A survival server where we build and farm together in a peaceful manner without too much PvP. When you want to switch to a different server, you can for now use /server hub to get back to the hub. Portals will come later. Both servers contain many plugins to help the gameplay. Both servers are separated, meaning that your inventory doesn't carry over. The servers have separate rules as well, so make sure you read the rules applicable to the server you want to play on. What is however not separated is the chat. Feel free to chat with people that are playing factions or enjoy their death messages while you are peacefully building a house on the survival server and vice versa. The main goal of the survival server is to be able to build, farm, mine and cooperate in a friendly manner without any uncertainty if your house will be gone. To realize that goal, there are a couple of plugins to help you. The most important thing you should know is how to claim your own land. More about that down below. Hacking is not allowed. Ask a staff member if you want to know which mods we consider hacks. To claim land, you will need a golden shovel. Now once you have the shovel in your hand, imagine a square region that will be your plot. Right click on one of the corners, then run over to the opposite corner and right click that as well. Congratulations, you now have your own plot where noone other then you can build or open chests. That's all you have to do. If you hold out a stick and right click a block, you can see if it is claimed and by who. You can allow others to build on your plot and open chest in your plot by using /trust username where you need to replace username with the username of the person you want to trust. When you have found your place to settle down, you can set a teleport there for yourself by typing /home set. When you now do /home, you will be teleported to that exact location. The factions server revolves around the factions plugin. You have to group up with others to make your own factions in the war against other factions. It's a rough, tactical world where everyone is your enemy and even the people you are in truce with can't be trusted. In the battle of powers it will become a struggle to survive, while working together and protecting what you have. In the future, kits will most likely be added. No guarantees yet. How does the factions plugin work? All available commands are listed and explained if you type /f help on the factions server. They are explained in summary below. First off, you will need to join a faction or make your own. /f list will give you a list with all current factions. /f join <faction> will let you join a faction. Keep in mind that not all factions are open, so you will most likely not be able to join right away. /f create <name> will let you create your own brand new faction. /f leave can be used if you want to leave the faction you are in. /f home can be used to teleport to the home of your factions if the faction owner has set it up. There are many many more commands that you should know about, especially if you are the owner of a faction. Use /f help to read about all of them. Can I change my Minecraft username? wow guys. 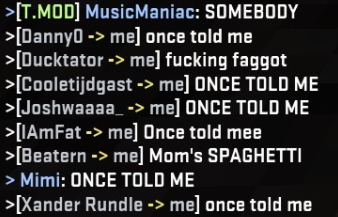 This community went from 0 to a 100 real quick, because who doesn't love minecraft. Azziq: "Are you vaping vimto?" Vimto: "nah, i'm chewing on a bottle lid." You could do minigames, in which you do Skywars, Hunger Games and more popular gamemodes. I see between 20-30 people logging in daily and playing there (ofc not the same time). Creating a minigame-server is ofc cool, but you need people to play with. And there are a lot of other (and bigger server) where people will play instead of our server. If you still think its a good idea to have a hg or skywars server do a vote in #minecraft and we will see =) If people want it, i will put some effort in it and try to realize it. Sorry for necro posting but did the IP change or something? or is the server dead :(? (17-01-2019, 04:30 PM)An Grammar Nazi Wrote: Sorry for necro posting but did the IP change or something? or is the server dead :(?